The Qualified Charitable Distribution is an excellent way to show your support for Lycoming College and receive tax benefits in return. As you plan your required minimum distributions (RMD) for this year, consider using your IRA account to make the most of your charitable giving. You receive a tax benefit even if you take the standard deduction! Distributions must be made directly from a traditional IRA account by your IRA administrator to Lycoming College. Gifts must be outright, meaning they go directly to Lycoming College. Distributions to donor-advised funds or life-income arrangements such as charitable remainder trusts and charitable gift annuities do not qualify. John is 71 years old and wants to make a gift to Lycoming College. He has $500,000 in his IRA and wants to gift $20,000. He can authorize the administrator of his IRA to distribute $20,000 to Lycoming College. Because the IRA Qualified Charitable Distribution is excluded from income, John will not be eligible for a charitable income tax deduction — but he still receives tax savings. 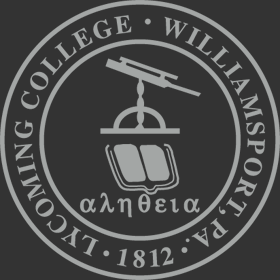 The $20,000 distributed to Lycoming College will be counted toward his annual minimum required distribution and he will not pay income tax on the portion given to the school. Distributions must come from your IRAs directly to Lycoming College. If you wish to help us with a gift from another retirement asset such as a 401k, 403b, etc., you must first roll those funds into an IRA. Then you can direct the IRA administrator to distribute the funds from the IRA directly to Lycoming College. How will Lycoming College count the gift? Federal — You do not recognize the distribution to Lycoming College as income, provided it goes directly from the IRA administrator to us. Therefore, you are not entitled to an income tax charitable deduction for your gift.